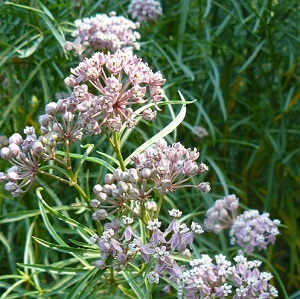 Narrow Leaf Milkweed, native to Southern Idaho, is smaller and more drought-tolerant than the better-known Showy Milkweed. Mauve-pink flowers emerge in mid-summer. With extra water, bloom time is extended. Host plant for Monarch butterflies.